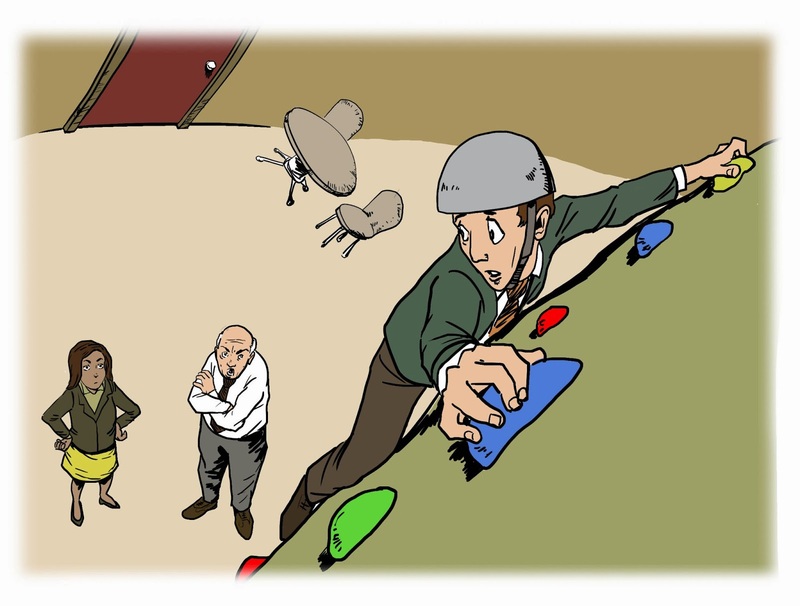 Why we don’t have a rock climbing wall at the Executive Office Center at Fresh Meadows. Will you please get down off the friggin wall, and get back to work already. We’re trying to get a business off the ground, remember?